The Charlene Choi Cheuk Yin and Taiwan Best Actor Wu Kang-Jen starred THE LADY IMPROPER (FEI FUN SHOO NUI) two nights ago held its premiere at the Kowloon Bay International Trade and Exhibition Center. 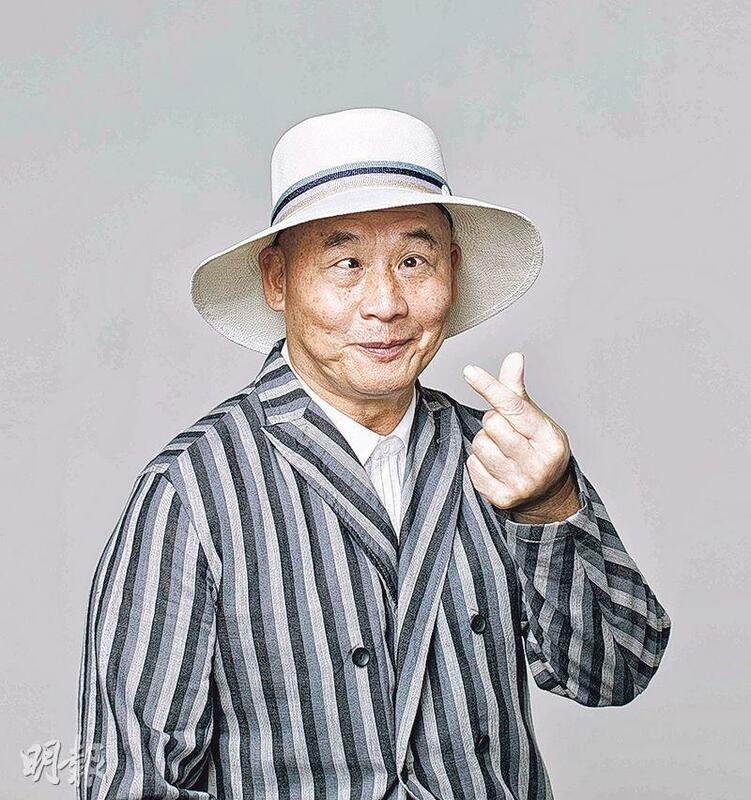 Wu Kang-Jen said that he learned alot from Ah Sa, Ah Sa returned the favor and praised him as a great actor. 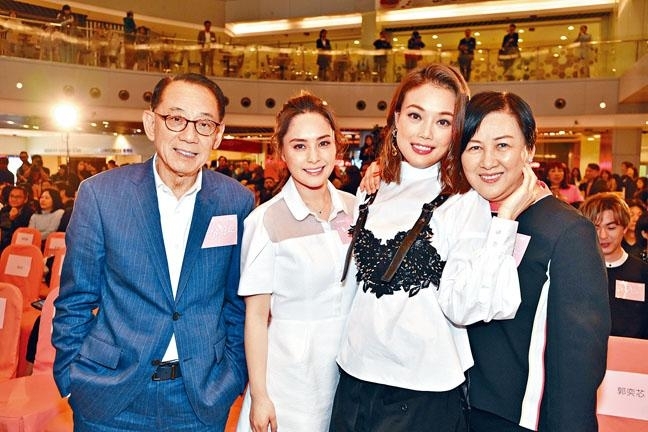 Also at the premiere were Emperor Group chief Albert Yeung Sau Sing and his wife, Joey Yung Cho Yi, Gillian Chung Yun Tung, Deep Ng Ho HOng, Anthony Lau Wing, Hedwig Tam Sin Yin, Ashina Kwok Yik Sum, Michelle Wai Sze Nga, Angela Hui Ching Wan, Ken Hung Cheuk Lap, director Tsang Tsui Shan, producers Shaw Kim Chau and Yeung Bo Man. Ah Sa and Wu Kang-Jen were interviewed together. For his first Hong Kong film Wu Kang-Jen said that he did not have any pressure because he had Ah Sa there. Working with her he learned alot. "I feel the Hong Kong pace is different from Taiwan's, it's very efficiency. Ah Sa is an actor who can put people at ease. Everyday at work I had a lot of fun, I felt like I was in class. They were very professional at work." * (2019/04/03) The 38th Hong Kong Film Awards will take place on April 14th at the Hong Kong Cultural Center. Every year aside from the 19 awards, the other two most eye catching awards are the Lifetime Achievement Award and the Professional Spirit Award. The event yesterday announced the recipients of the awards. Patrick Tse Yin will receive this year's Lifetime Achievement Award, while Lau Won will receive the Professional Spirit Award. When Ali Lee and Kenneth Ma attended an event, they shared their own methods of relieving stress. Kenneth said that his methods of relieving stress are sleeping and playing soccer. If the people around him are stressed, [he] would accompany them to do things that they like...it doesn't matter whether it is singing or going for a walk. As for Ali, she feels that, as one gets older, apart from having a healthy body, a healthy mind is also important. When she sees her other half or family members having stress, [she] would give them a hug to express her concern, and would also take the initiative to be a listener. At the event, Ali and Kenneth could not help but choose to sing their well-practiced songs, 《終身美麗》 and 《友情歲月》. Kenneth explained that he has been busy filming the new series "The Exorcist's Meter 2.0", so he does not have time to practice his singing. He said, "The progress of the series has been delayed due to the influence of the rain because it is very difficult to put cameras to film car scenes when it is raining. Hope to finish filming in mid-May". Regarding girlfriend Jacqueline Wong already completing her series, Kenneth said, "Yes, she has a job where she has to go to Barcelona in May, so she will be going with friends and staying for leisure on the way. However, my series is not finished yet, so cannot take out time to meet with her. If I take a holiday, the Hong Kong series crew will kill me". Artist Elena Kong Mei Yee two nights ago promoted the film THE CROSSING (GOR CHUN TIN). 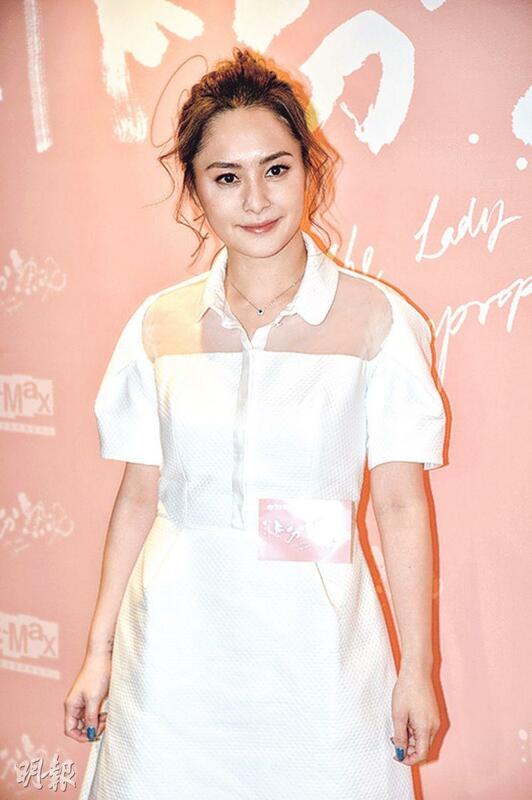 She revealed that it was her first Mainland film and working with a group of new actors. She praised the talent of everyone as they knew their characters and content. "Although the entire film was shot in Shenzhen and my part only lasted a few days, everyone had a lot of fun." Playing the Hong Kong parallel import Big Sister, she said that parallel import was nothing new to Hong Kong people. Normally she also bought parallel import sneakers and handbags. "When I was little Mommy told me to parallel import a Walkman to Taiwan for a relative, from which I made a little money. This used to be legal!" 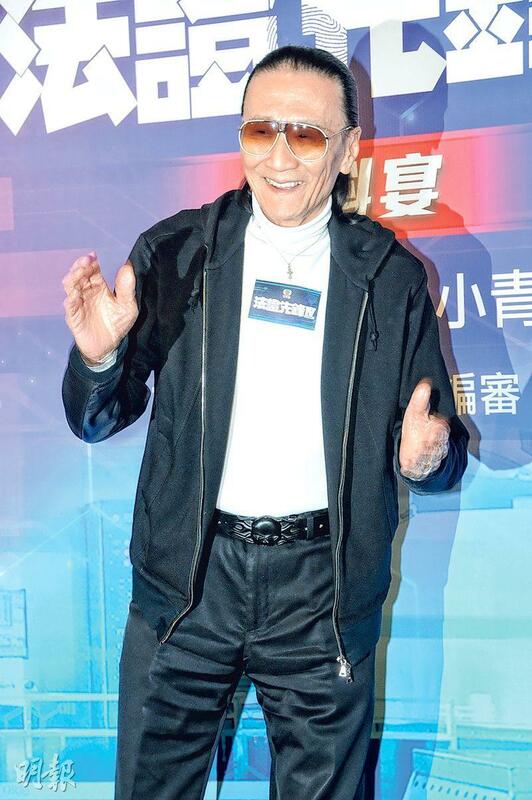 Ronald Cheng Chung Kei yesterday attended a Hong Kong University forum with the them "sense of humor. 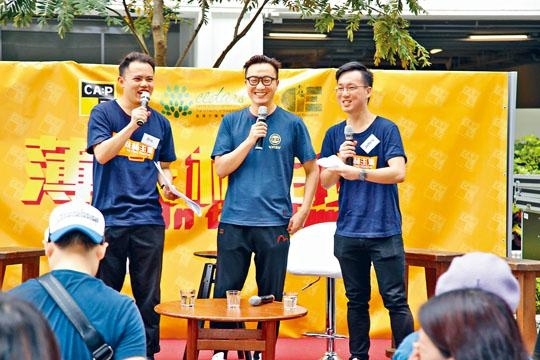 Earlier when Eason Chan Yik Shun was at an Open University events he got mad when students only paid attention to their phones. He felt disrespected and invited those students to leave. Ronald said that he would play along with the students and if they had anything happy they must share it. He absolutely would not invite them to leave! Speaking of work, Ronald revealed that he just finished the film ELISA'S DAY (WAI OI) and in May he will begin his concert tour. In September he will work on DRAGON LOADED 3 (LUNG GUM WAI 3). Because he complained, his wife was studying cooking. He said, "I didn't complain, but her cooking improved a lot. A lot of stuff is very delicious. She can tie down my stomach and make me fat, because in DRAGON LOADED 3 I will have to gain a dozen or so pounds. Last time I gained 30 pounds so this time won't be too hard." The "Storm" series's latest film P STORM (P FUNG BO) will open on April 4th in Hong Kong and Mainland. Earlier actors Kevin Cheng Ka Wing, Raymond Lam Fung, Gordon Lam Ka Tung, Chrissie Chau Sau Na, Patrick Tam Yiu Man, Janelle Sing (Xia Yan) and Adam Pak Tin Nam went to Shanghai for an event. Lam Ka Tung was asked why he did not have any kiss scene in the film. Ka Tung said that it would be very hard for both sexes to be in the same prison. Ka Wing poked fun at the single Koo Tin Lok, "The next one can add a romance for him! Then he can date a little!" 1,000 people filled the venue and passionately cheered the actor. Lam Fung said, "This time I experienced the might of the 'Storm series' at the 1,000 people event. It was very cheerful and I also sensed the viewers' passionate anticipation for this film." 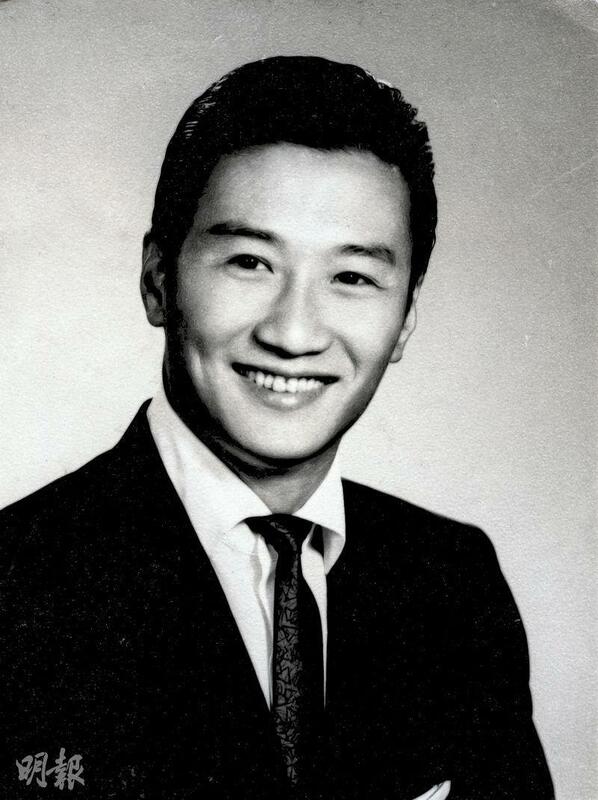 Lam Fung pointed out that P STORM was his first film villain role as his first film with the big "Storm" family. He hoped to be able to leave the audience with a deep impression. New father Ka Wing kept receiving congratulations for his wedding, but he said, "The wedding happened last year." The audience again wished his baby good health. New papa Ka Wing accepted all the well wishes and could not hide his joy! 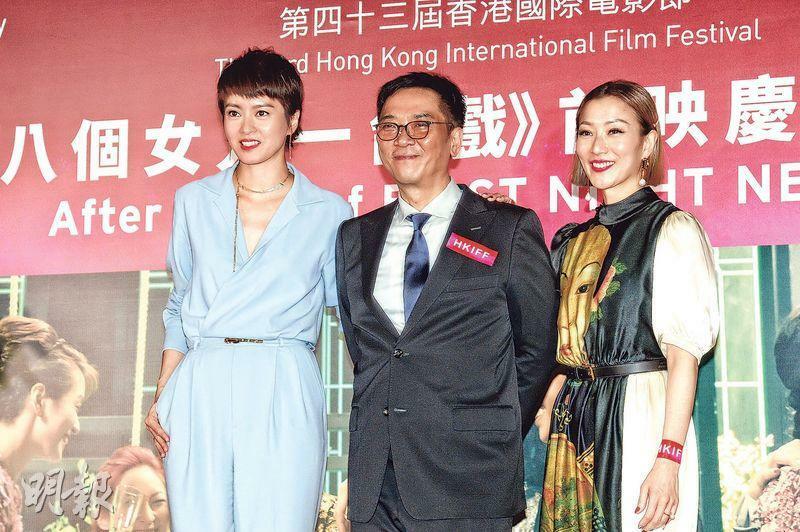 The Stanley Kwan Kam Peng directed film FIRST NIGHT NERVES (BAK GOR NUI YUN YUT TOI HEI) two nights ago held its 43rd Hong Kong International Film Festival premiere. 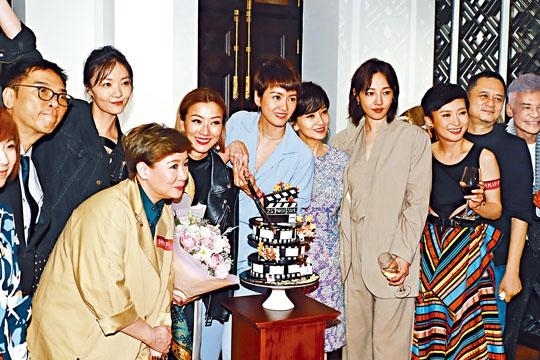 Then the director led actors Sammi Cheng Sau Man, Gigi Leung Wing Kei, Bai Baihe, Angie Chiu Nga Chi, Sheung Tin Ngor and Catherine Chau Ka Yi attended the premiere party. Since 2004's EVERLASTING REGRET (CHEUNG HUNG GOR), Kwan Kam Peng directed again after 15 years and the lead actress was still Sammi. Director Kwan said, "Time went by so fast but didn't feel long at all. Working with Sammi this time, I feel that she has become another person. She is relaxed, and the character required experience for the performance. She did very well." Sammi said that working with Kwan Kam Peng again, she admitted that she was not nervous. Instead she felt that everyone changed for the better, which gave her an even easier time and more confidence. Director Kwan also praised Gigi for changing a lot after marriage, and was just as relaxed.